Kabbalah Introductory Evening – Join us! Kabbalah tells us that there is a plan that has been skillfully created for each person on earth. The purpose of this plan is for each person to become the creator of his/her own universe – to become the cause in one’s life and not the effect of it. 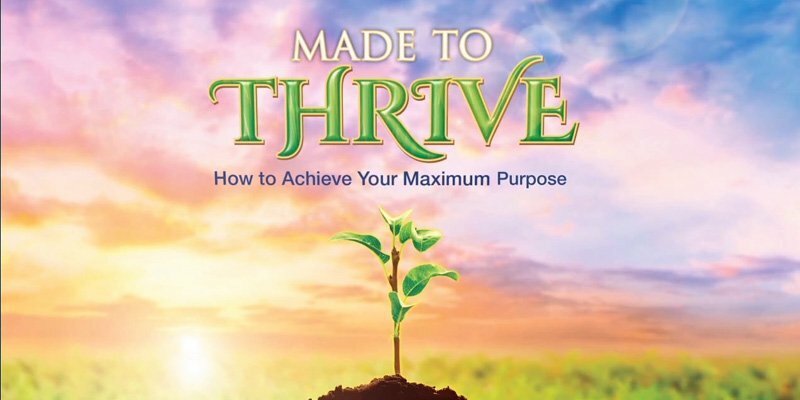 The ultimate result is that each person thrives this lifetime, experiencing joy, prosperity, fulfillment. Everyone is welcome. Advance registration is required. Make your deposit for the Kabbalah 1 Class at this Informational evening, save $75 on your Kabbalah 1 tuition. Cannot be combined with any other discount offer. Now enrolling for programs starting March 30th & 31st, 2019 in Seattle. Kabbalah unlocks the potential of your own divine nature to know and accomplish your unique purpose in life. If you are ready for real and lasting change, for a stronger connection to the intangible and infinite energy of Spirit, then join us on this journey! 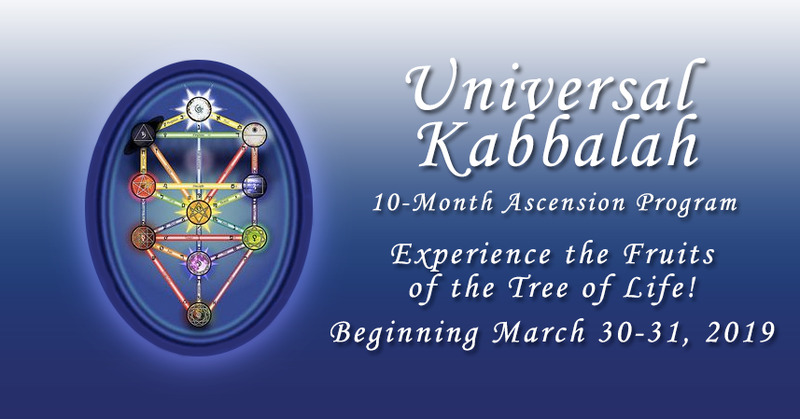 This 10-Month journey brings the ancient tradition of Mystery School Kabbalah and the Tree of Life into a practical and accessible form through a process called Ascension. Each ascension allows participants to be elevated to the vibrational level of each location (or Sephirah) on the Tree of Life. This is a universal and ancient spiritual technology from the oral tradition of the Lineage of King Salomon the Wise. Over these 10 months, there are four ascension classes, including a final weekend retreat. At this retreat you will have an opportunity to experience what is called the Supernal Triad, and meet God / The Universal Power face-to-face! Between ascensions, there are monthly Study Groups available to acquire additional tools, knowledge and insights with the group. Essentially, this Kabbalah program is a personal exploration of the very nature of the Universe, creation, manifestation, the mind of God. Together we uncover the birthright of humanity: to live as spiritual beings having a physical experience. • What is my purpose in life? The process of finding these answers can reorganize the mind. This increases our capacity to see and understand the hidden messages found in life and our environment, applying more of our mental potential toward our creations. Lessons left unlearned and discarded in the subconscious can be understood, freeing us from repeating cycles from the past. We become more confident, and embrace new experiences. More than answers, the Living Kabbalah teaches us to ask meaningful questions that will accelerate our progress toward fulfilling our higher purpose in life. Kabbalah has been called “the Yoga of the West.” It engages the Western mind and allows those from this region to awaken to our higher spiritual states. Combining Sacred Geometry, Numerology, and Metaphysics, it provides an opportunity to acquire the “skeleton key” or universal language that can open all of the secret doors of ancient Mystery Traditions. Ultimately, the fruits of this study lead one to “Know Thyself” as a co-creator with the Divine Source of all things. The best known symbol in Kabbalah is called the Tree of Life. It is most often depicted as the familiar set of 10 circles (Sephiroth) with 22 connecting lines or paths. This ancient glyph is a schematic of how creation happens, and a map for humanity to return to our spiritual source. The Tree of Life is also the DNA, the blueprint of one’s entire being. In ascending the Tree of Life, the blueprint of life itself is explained and influenced so that we can truly transform ourselves… inside and out. 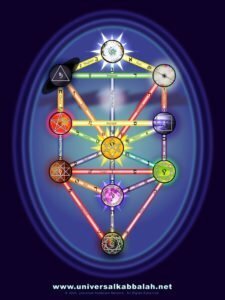 Introduction to the Tree of Life and Ascension into Malkuth, or The Kingdom. Instruction and Ascension into Yesod, Hod, Netzach and Tiphareth – the foundation, our personality and the center of the Tree of Life. Instruction and Ascension into Geburah and Chesed, the higher spiritual concepts of limitation and freedom, bringing us to the edge of “The Abyss”. Acquire the self-knowledge of Da’ath to ascend into the realm of the Supernal Triad for a chance to experience meeting the Divine face-to-face. The group will have the opportunity to meet regularly with the study group leader to explore the correspondences and mystery school teachings on each aspect of the Tree of Life. Here students receive the tools and support to get the most from this Ascension Journey. * For Early Registration & Full-Pay Discounts see below. Other payment options are available. Please contact Verla Wade for details. $500 due by March 20th, 2019 to reserve your seat. Deposits paid after March 20th, 2019 will be charged a $75 last minute registration fee. FULL PAY DISCOUNT – First-time students who pay in full for the 10-month program* by the first day of class (March 30th, 2019) will receive a discount of $150 + a free set of 10 Study Guide Workbooks authored by Verla Wade and a laminated 8.5×11 Tree of Life poster as gifts for your commitment (a $425 value). * Full payment is non-refundable but on a case by case basis, may be transferred for up to a year only to other programs taught by Verla Wade. INTRO CLASS DISCOUNT – Save $75 on Kabbalah I by bringing your deposit to the introductory Kabbalah class held by The Living Light Foundation between now and the start of the program. NOTE – only eligible for one of the above discounts. Audits are students who have completed at least one full Kabbalah Ascension Program with a Certified Modern Mystery School Kabbalah Instructor. $300 deposit for Audits is due by March 20th, 2019 to reserve your seat.